The waxing and waning of disease in the body and emotional states are expressed through eruptions in the skin. Stress is often as a significant factor in acne, psoriasis, itching, hives, herpes and profuse sweating. But it isn’t only stress that affects the skin – it is often the foods that we eat that maybe unsuited to our personalised constitution. In Ayurveda, we believe that digestion is primary and the skin is one valid indicator of internal digestive health. We can see through the skin the state one’s lifetime dietary habits and possible levels of malabsorption. We also note that any states of nausea, heart burn, hyperacidity and discomfort are signs that the digestion is not functioning at its peak and we fix this immediately. It is important to know what kind of digestive system you have and what elements govern the digestive fire in order to ascertain how the skin is reacting to foods and to the environment. What type of skin condition do you have? Ayurvedic Medicine for your skin…. Pitta skin is characterised by redness, sweating and heat. There is often moisture to the skin as pitta is a combination of both fire and water. There is often redness, swelling, fever, infection or irritability when pitta is aggravated in the skin. Conditions such as acne, rashes and itching, inflammation may occur as a result of pitta type foods, coffee, alcohol, stressful environment, heat, Summer, sun, or emotional anger resentment, irritation or anger. When the skin looks angry – it most definitely is. In Buddhism, the healing antidote to anger is compassion – treat your body and mind lovingly and remove all causative factors. Reduce pitta type foods and inflammatory foods. Balance hormones naturally using natural moonlight (moon bathing) and compassion meditation. Apply a coriander poultice, rose water or alternatively fresh aloevera to the skin. If oils, creams or moisturisers make the condition worse, more than often this is because the application of such is trying to heal a pitta type skin condition with a more pitta based product (oil). Use water based cooling herbs and applications to heal. When there is no inflammation or irritation, coconut oil or coconut based moisturiser is a suitable cooling oil application for pitta types. Discontinue use if it flares the condition up once again. Vata type skin conditions are characterised by dryness and cold. Vata is a combination of two elements – air and ether. Vata is like the wind and the skin often has too much dryness. The change of season into Autumn (the vata season) will aggravate and dry the skin as the wind often does. Conditions that may appear in the skin are as follows: dry, scaly, itching skin. The person may also experience distention or constipation in the digestive tract. Cold, dry foods will aggravate the condition further – be careful of raw foods diets and over-consumption or dry fruits, nuts, apples, cold fluids, coffee, raw salads and vegetables, rough foods, dry muesli. Do not try and fit as many super foods and nutrients into a meal as you can. Rather aim for nourishing and warm foods – simple and easily digestible. Vata type skin conditions are alleviated by warm, heavy oils and moisturisers applied to the skin. Choose natural and organic wherever possible. Vata oil, almond oil or cold pressed black sesame oil is best. Kapha is governed by the water and earth elements and kapha type skin s charactered by its lusciousness and youthful qualities – basically it’s collagen factor. When the element’s of water and earth are out of balance, the skin may become damp, cold & sweaty. Oozing or weeping sores are characterised by kapha. Itching may occur along with congestion and edema. Damp and cold conditions will aggravate the skin – and late Winter and early Spring are the seasons when most Kapha conditions of the skin occur. Oils may often aggravate the skin so do avoid use if the condition is bad, however light oils may be used such as safflower or sunflower during other times. Mustard seed oil is a hot penetrating oil which can be applied to reduce congestion and improve lymphatic drainage when the skin is in good condition. Avoid foods with too much kapha: cucumber, dairy, heavy foods, red meat, cashews, macadamias, oily foods. Choose warm and light foods. 5-10 minutes using warmed Ayurvedic oils suited to your constitution. Place very small amount of oil in tiny container and over a bowl of hot water to warm before applying to body. Start massage on left foot for female, right foot for male. Massage with long strokes over limbs, and circular motions over joints and chest and abdomen. Target problem areas of congestion or pain. A shower can be taken after application of the oils, or beforehand. For Vata constitutions it is best to leave the oils on the body. Use old clothes and towels, which can be soaked weekly in napi-san to remove oil. Drops of eucalyptus oil in wash will remove oil smell. Vata and Pitta massage should be long, slow and calming strokes. Kapha massage can more vigorous and penetrating to the muscles and lymphatic system. This is a very self- nurturing practice that restores health and vitality back to the body, mind and soul. It can be performed morning or night, and is extremely helpful for those who have disturbed sleep at night. It benefits the muscles, tissues, and lymphatic system. It promotes self-awareness, and a meditative, calm state of mind. It cultivates prana and life energy, and is very grounding for those suffering from anxiety. Yoga is the sister science to Ayurveda and is also imperative for internal organ tone and gut motility. You need to know more about what poses will help the digestive system, what type of digestive system you have and what foods you might be eating that are aggravating the skin. 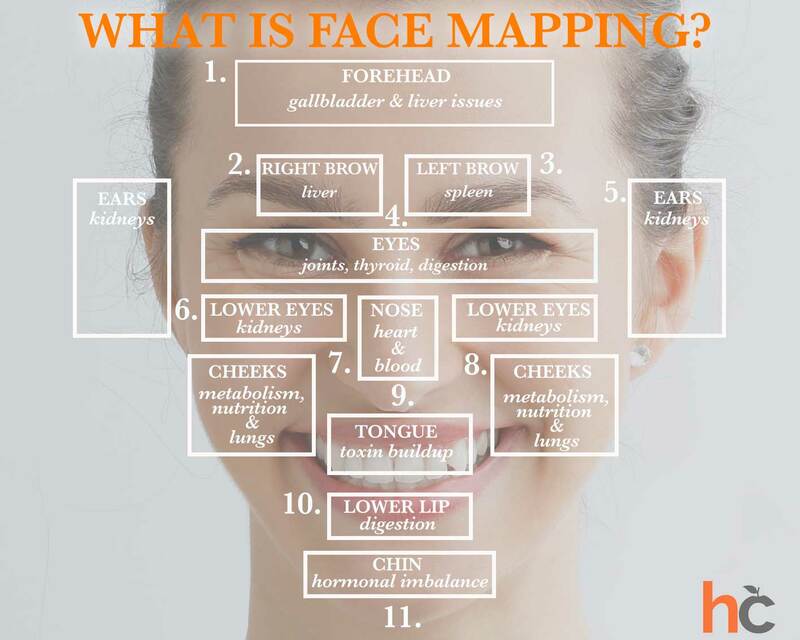 Learn more about how to read the skin and see the map of your own health in the skin and in others. 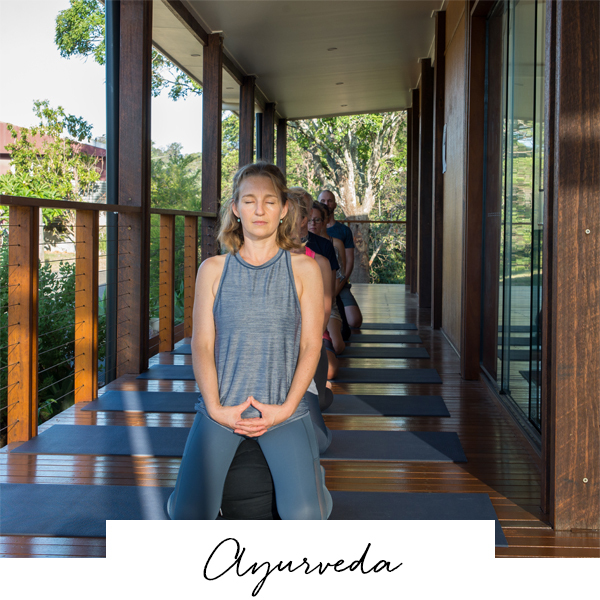 So come along and learn about Yoga, Ayurveda and Integrative Medicine for yourself or your loved ones at retreats or privates. Get your skin shining, your organs talking, and spread that YOGA GLOW!!! ??? ?